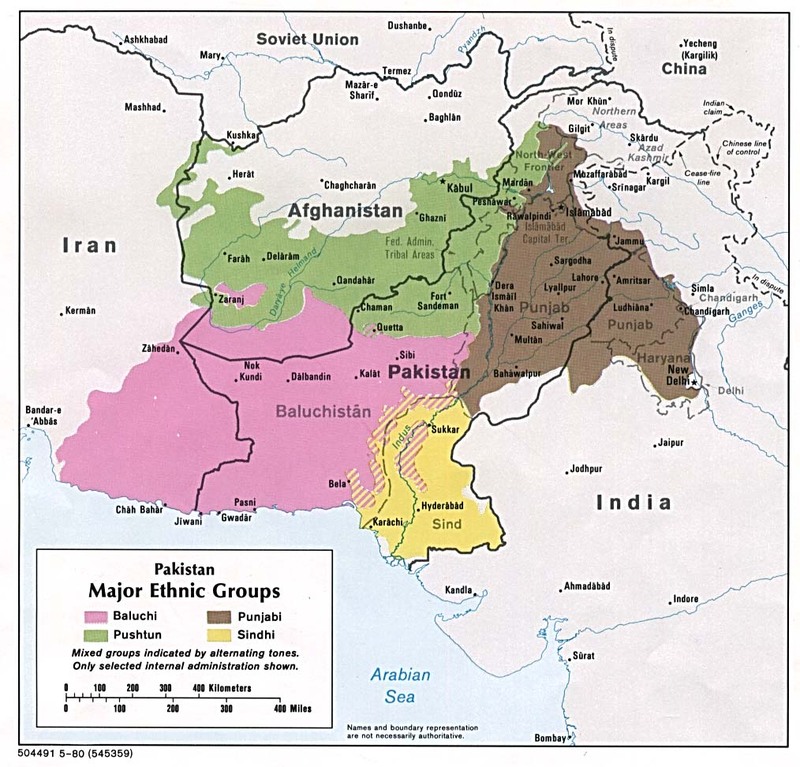 The Turi are a Shia Muslim Pashtun group who live in Pakistan near the Afghan border. They are a sub-tribe of the Karlani Pashtun. The Turi have a long history of armed conflict. At times they fought with the British and their allies during the colonial period. At other times, they fought against the British. Shiite Muslims make up about 10-13% of the world Muslim population. The Turi are currently in a war against the Sunni Taliban and their allies. When they are not fighting the Turi raise sheep and goats in the high mountain valleys. They also grow barley, wheat, other grains, vegetables and fruit. The primary language of the Turi is Central Pashto. They also speak Urdu. The Turi live in the Kurram Valley in the Kurram Agency of the Federally Administered Tribal Areas of Pakistan. A smaller group of Turi lives in the Paktia province of Afghanistan. The lives of the Shia Turi have been characterized by warfare against Sunni Muslim groups for hundreds of years. Sunni Muslims often see the Shia Turi as Muslim heretics. The Turi struggle to produce the food they need from the harsh mountains they reside in. Their lives are dominated by their Muslim beliefs and practices. Education of their sons is a problem due to the chaotic nature of the situation in which they live. Girls are frequently not educated and married off at a young age. Wealthy Turi men have up to four legal wives at the time. Living conditions can be harsh in the mountains with freezing temperatures much of the year. With many of the men involved in fighting, the Turi women have the responsibility to raise the children and take care of the animals and crops. Most Turi villages do not have the electricity, indoor plumbing and access to clean water. Life expectancy is often less than 50 years due to warfare, disease and the lack of modern medicine. The Turi are Shiites, the smaller of the two major branches of Islam. The Shiites believe that the prophet Muhammad's true successor was Ali, his son in law. The Sunnis believe that Abu Bakr was the rightful caliph or the successor to the prophet. Most Shiites and the Turi believe that the Twelve Imams were the leaders ordained by Allah. The Turi believe that by following the Five Pillars of Islam that they will attain heaven when they die. The Shia like the Sunnis pray five times a day facing Mecca. They fast the month of Ramadan. They attend mosque services on Friday. If a Muslim has the means, he or she will make a pilgrimage to Mecca once in his or her lifetime. The two main holidays for Sunni Muslim are Eid al Fitr, the breaking of the monthly fast and Eid al Adha, the celebration of Abraham's willingness to sacrifice his son to Allah. Shia Muslims are also prohibited to drink alcohol, eat pork, gamble, steal, use deceit, slander, and make idols. If the Turi of Pakistan are to flourish, they need peace in their land. They need help in educating both their sons and daughters. They need help in bringing electricity, access to clean water and indoor plumbing to their villages. These modern blessings will be nearly possible to introduce to the Turi as long as they are fighting a war against Sunni groups. They would benefit by learning new job skills and modern medicine. Most of all, the Turi need to hear and believe the life-changing message of Jesus Christ. * Scripture Prayers for the Turi (Muslim traditions) in Pakistan. * Pray that the Lord brings peace to the Turi and their land. * Pray the Lord sends Christians workers to share the good news of Christ with them. * Pray that the Lord shows the Turi that true spiritual peace will only come to them if they trust and obey God's Son, Jesus.